My garden is finally starting to look like the sort of place small children would want to spend their summer. 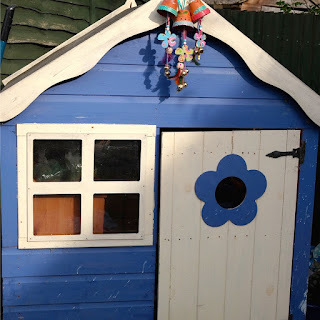 The lovely wooden wendy house is in place, I have dug up all of the moss which was impersonating grass and I have laid astro turf (you can hoover it and nothing burrows through it. I LOVE it!). The water table and sand pit are established and now we just need some finishing touches. 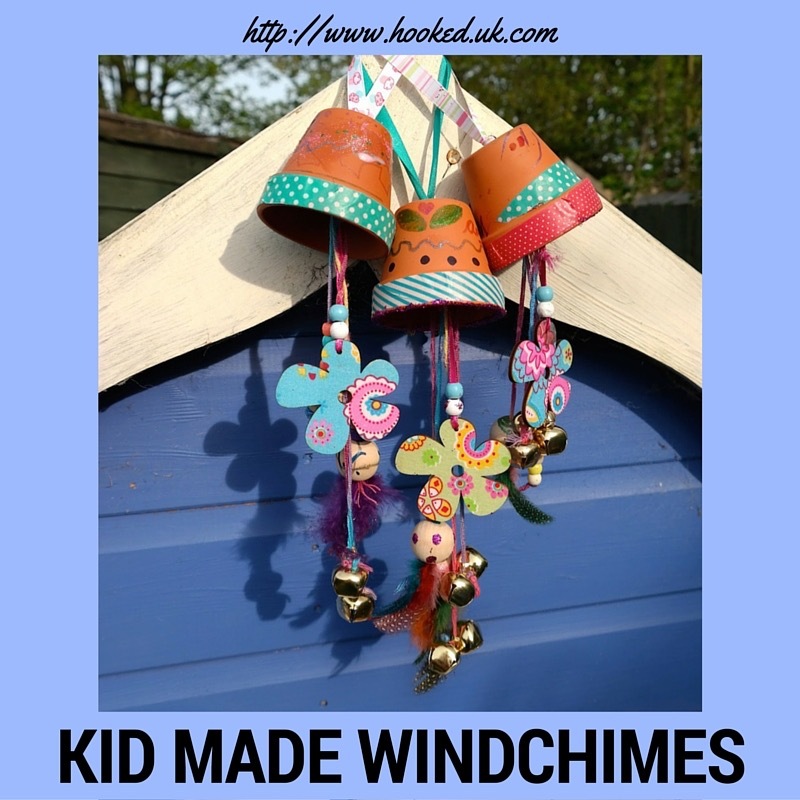 In the mean time we decided to get our 'glitter on' and make some wind chimes to hang on the wendy house. 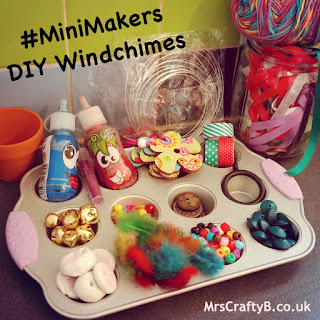 I am sure you have noticed how bought craft kits can cost a small fortune when all we really need is lurking in drawers, cupboards and recycling boxes in our homes. Terracotta pots left over from Twinkle's party bags when she turned five (I filled them with seed paper and sweets). 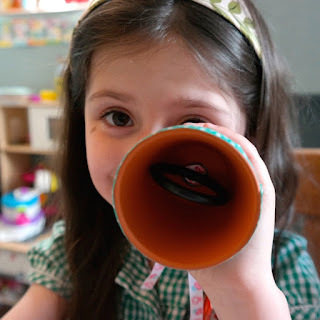 They are really cheap online, but you need to buy a pack of them, you could just as well use a plastic drink cup, an empty tin can, a plastic flower pot or anything else which either has a small hole in the bottom or where one can be cut in. Homemade clay beads which I made with the children last week. This is the sort of project where you are bound only by your own imagination. 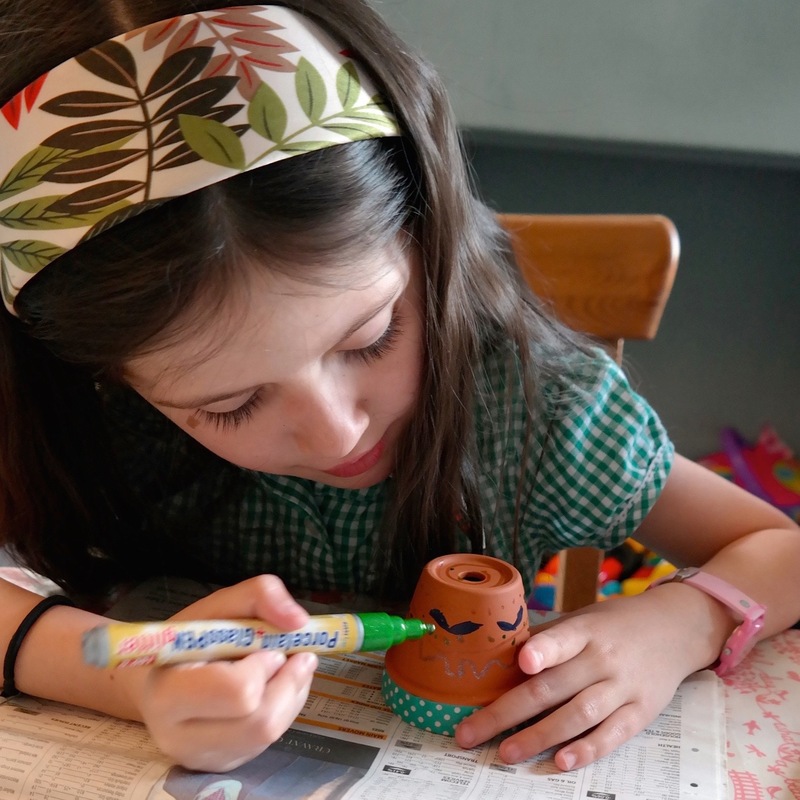 We started by decorating the terracotta pots with the pens and the tape. ​Then we put the curtain hoop inside the pot with the little hoop poking through the hole in the bottom. We then tied a ribbon onto the little hoop so we could hang it up. 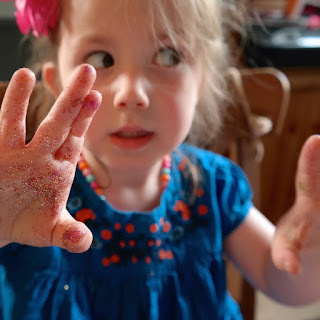 There was then a short interlude whilst we got very excited by glitter! Whilst the glitter glue dried, we strung the beads and bells onto yarn ready to tie onto the hoop inside the terracotta pot. Then there was nothing left to do but hang them up. 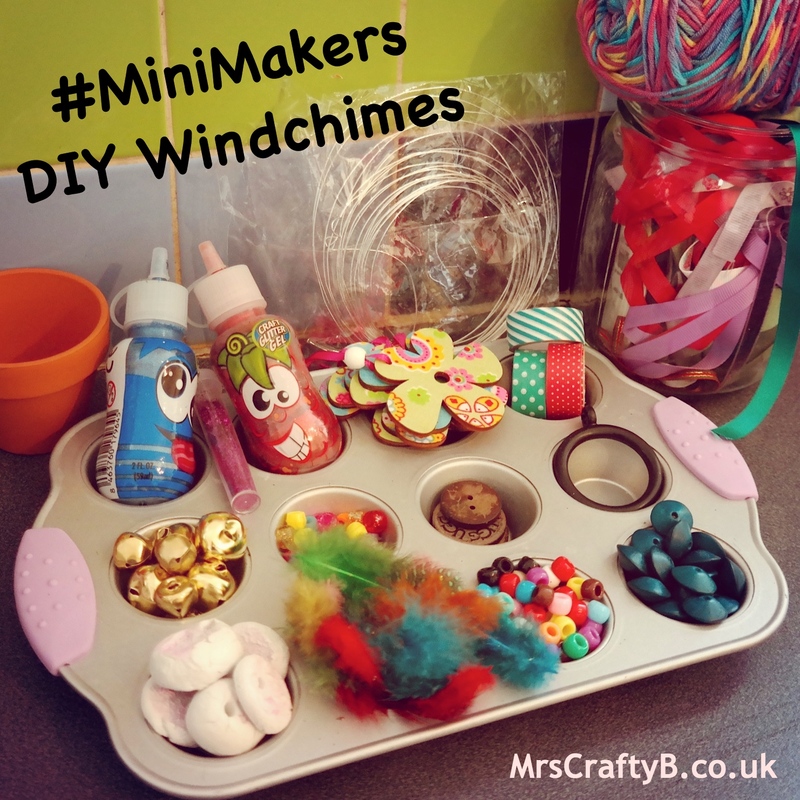 I think they look so cute, and every time the wind makes them jiggle now, I can think about how much fun I had with the children making them....and how much glitter I hoovered up out of the carpet! 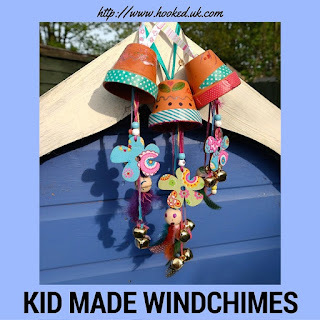 What a great craft to do with your little ones in the garden this summer. Thanks so much to Amy for sharing. Do you have any favourite family garden activities? Such a good way to spend an afternoon in the garden isn't it? I am looking forward to this kind of food over the summer! Thanks for sharing this one. I am sure I can convince Hubby B to add it to our 'try' list. Good idea! I always find it funny when I see 'scarecrows' with loads of birds on them haha. I would still want one though.